​Watford striker Troy Deeney has been charged by the FA for comments made about referee David Coote after the club's 3-3 draw with Bournemouth earlier in January. Deeney said Coote "bottled" some decisions during the frantic match at Dean Court and has now been charged. 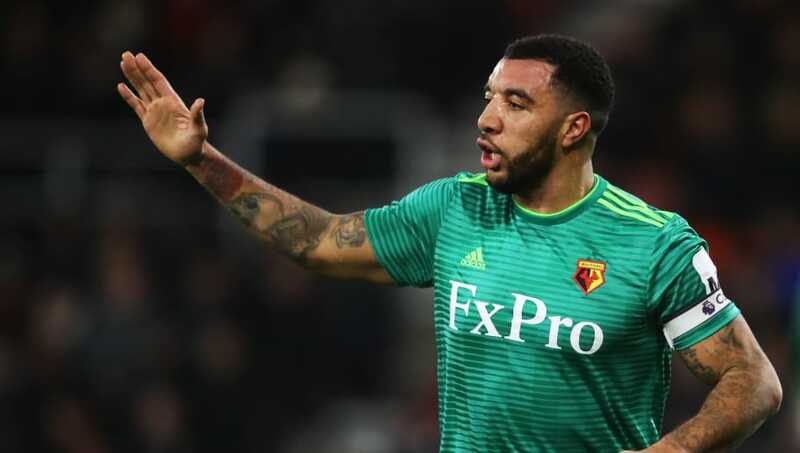 A tweet from FA Spokesperson reads: "Troy Deeney has been charged following post match media comments he made about the appointed match referee for Watford’s game against Bournemouth on 2 January 2019. "He has until 18:00 on 15 January 2019 to respond to the charge." After the game, Deeney admitted his frustration with a handful of decisions, much to the surprise of Bournemouth's Ryan Fraser, who was alongside the Englishman during a post match interview. Deeney ​said: "'I think the referee, to be fair, bottled it on a few occasions. There's a handball right at the end. I'm not one to hammer refs, but he bottled it on a few occasions today. "We'll both look at it as both teams should have had a player sent off, bad defending." ​Deeney also said ​Watford midfielder Abdoulaye Doucoure was "lucky" not to receive further punishment for a challenge on Fraser but also pointed out Dan Gosling's robust tackle on Tom Cleverley. He said, as quoted by ​BBC Sport: "Doucoure probably did get lucky [not to be sent off], but you can't tell me that their boy [Gosling] did not try to do Tom Cleverley. "They know it. We know. But the referee bottled it on a few occasions."